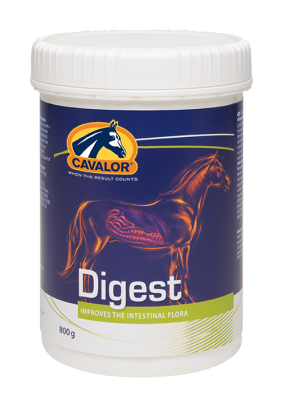 Cavalor Digest is designed for short term use following diarrhoea, to help return the small and large intestine to normal health and function. Please note this product is currently out of stock with our supplier until the beginning of November 2018. Cavalor Digest is designed to help combat diarrhoea. This diarrhoea could be the result of colic, worming, dietary indiscretion, change to forage or antibiotic usage. Yeast combinations: To promote and help to re-establish a healthy gut flora. Herbal blend: To increase palatability and digestibility of the meal offered.